Wisdom tooth removal is one of the most common surgical procedures that we perform daily. Wisdom teeth are the molar teeth that grow at the back of your mouth, and usually come through between 16 to 24 years of age. 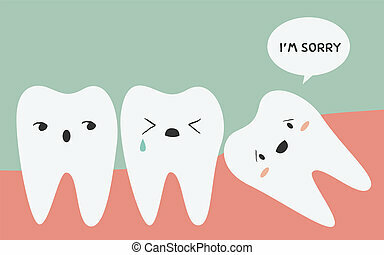 Some people (the lucky ones) never develop wisdom teeth; others have up to four – one in each back corner of the mouth. Wisdom teeth often have not enough space for them to grow so they can cause pain, swelling, infection or damage to other teeth. Surgical removal (extraction) of one or more wisdom teeth can help to resolve these problems. The wisdom teeth removal procedure is routinely carried out as a day surgery procedure in our clinic with no overnight stay. Some people choose to have their wisdom teeth removed under sedation or general anaesthesia. This means they are asleep during the procedure. Many people opt to have their wisdom teeth removed under local anaesthesia, which means that they stay awake, but the area around the wisdom tooth is completely numb. Dr Kevin will discuss with you which type of anaesthesia is most suitable in your case. He will also explain the benefits and risks of having your wisdom teeth removed. The good news is the wisdom tooth surgery is totally covered under Medisave, so majority of our patients do not have to pay any cash for the procedure.